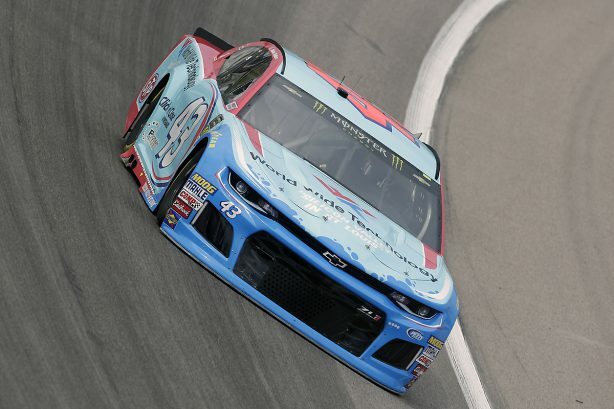 Welcome, N.C. (September 19, 2018) – Richard Petty Motorsports and World Wide Technology (WWT), a market-leading technology solution provider, announced today that WWT will be the primary sponsor of Bubba Wallace and the No. 43 Chevrolet Camaro ZL1 team this weekend at the Richmond (Va.) Raceway. WWT is the official Technology and Analytics Partner of Richard Petty Motorsports (RPM). WWT will pick up the additional race to support the team, now sponsoring three of the final nine races of the season. Wallace Jr. heads to the track where he has one win in the NASCAR K&N Pro Series East and two Top-10 finishes in the NASCAR XFINITY Series. He made his Cup debut at the track earlier this year and finished 25th. He’s looking forward to once again racing the WWT colors. WWT will also sponsor Wallace Jr. at the Charlotte Motor Speedway on September 30 and at the Dover International Speedway on October 7. The No. 43 car and team will bear the WWT branding and Silicon Valley in St. Louis message at all the primary races. WWT helps organizations across a range industries to survive and thrive the digital disruption that surrounds them. WWT’s innovative ecosystem, known as the Advanced Technology Center, brings together hundreds of technology companies, from Silicon Valley heavyweights to emerging tech players, to test out and integrate technology solutions for customers – cutting technology evaluation from months to weeks, sometimes days, and producing game-changing results. WWT complements the ATC with 500 agile application developers who build digital experiences for customers, as well as big data solutions, advanced analytics and artificial intelligence that help customers turn data into business value.